In Pacific Shores, an employee of Wells Fargo, called Jane Jones by the court, was covered under the Wells Fargo & Co. Health Plan (the “Plan”), a self-funded plan governed by the Employee Retirement Income Security Act of 1974, as amended (“ERISA”). United Behavioral Health (“UBH”), a TPA for the Plan, was responsible for reviewing Plan mental health and substance abuse claims, including those for anorexia nervosa. Jones was admitted to Pacific Shores Hospital (“PSH”) for acute inpatient treatment for severe anorexia nervosa and major depression. Through an assignment of rights to payment under the Plan, PSH submitted a claim to UBH for the costs of treatment during Jones’s inpatient stay, but UBH refused to pay for more than three weeks of acute inpatient treatment. PSH appealed, and the Ninth Circuit reversed, holding that UBH abused its discretion in refusing to pay for additional days of inpatient treatment. On appeal, PSH asserted that although the Plan had granted the discretion to make claim determinations to the TPA, the court should adopt a less deferential standard of review of UBH’s decision. PSH made three points in support of this argument, which provided the court with reasons to hold that even under an abuse of discretion standard of review, UBH’s decision was not reasonable in consideration of all of the circumstances of the claim. First, PSH contended that there were procedural irregularities in UBH’s benefits denial, such that the court should review the denial de novo. The court disagreed, stating that it was “painfully apparent that UBH did not follow procedures appropriate to Jones’s case.” For instance, although UBH stated that Jones’s case required medical evaluation due to its “medical and psychiatric complexity,” UBH’s decision was based almost entirely on telephone conversations and voicemail messages. The court also noted that no PSH hospital records or independent examination results were ever put into the administrative record. In addition, UBH’s physician evaluations contained “obvious factual errors that could easily have been corrected” if UBH had consulted its administrative record or the PSH hospital records. Finally, PSH argued that although UBH was a TPA, it was operating under a conflict of interest and the court should have considered this conflict as one factor in deciding whether UBH abused its discretion. PSH further asserted that UBH had a “self-interest” in continuing its contractual relationship with Wells Fargo, and Wells Fargo had a self-interest, as a direct funder of the Plan, in minimizing benefit payments paid from the Plan by UBH. The court declined to rule on these three arguments for lowering the standard to de novo, concluding that even under the more deferential abuse of discretion standard of review (without any additional scrutiny because of a conflict of interest) and based on the record that UBH had before it, UBH had unreasonably and improperly denied benefits to Jones. In reviewing for abuse of discretion, the court explained, courts must consider “all of the relevant circumstances” for “any reasonable basis” supporting a plan administrator’s decision. A plan administrator abuses its discretion if the administrator rendered its decision without any explanation, construed provisions of the plan in a way that conflicts with the plain language of the plan, failed to develop necessary facts for its determination, or relied on clearly erroneous findings of fact in making benefit determinations. The court concluded that UBH fell short of fulfilling its fiduciary duty to Jones. As a claims administrator, UBH had a fiduciary responsibility under ERISA to discharge its duties with respect to a plan “solely in the interest of the participants and beneficiaries,” 3 that is, “for the exclusive purpose of (i) providing benefits to participants and their beneficiaries; and (ii) defraying reasonable expenses of administering the plan.” 4 Fiduciaries must discharge their duties “with the care, skill, prudence, and diligence under the circumstances then prevailing that a prudent man acting in a like capacity and familiar with such matters would use in the conduct of an enterprise of a like character and with like aims.” 5 By employing and relying on three physician evaluators who made critical factual errors supporting UBH’s denial decision, UBH breached its duty and improperly denied benefits under the plan. In Pacific Shores, the Ninth Circuit applied, to a situation involving no conflict of interest, the more searching review that it had previously reserved for conflict of interest cases decided under the abuse of discretion standard. The court emphasized that it will not uphold a claims decision simply because it is supported by “any reasonable basis,” as the court had originally held in Horan v. Kaiser Steel Retirement Plan. 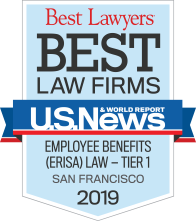 In addition, the Ninth Circuit suggested that the admission of extrinsic evidence — even where the abuse of discretion standard applies — may be appropriate in ERISA cases where the administrative record is not sufficient. 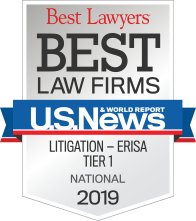 Pacific Shores and Butler are recent decisions that suggest a movement in the Circuit Courts of Appeals towards a less deferential approach to analyzing ERISA benefit claims decisions even under the abuse of discretion standard of review. Thus, claims administrators may find it more difficult to have their claims decisions upheld in the future, despite the applicability of the abuse of discretion standard of review. 1 Pac. Shores Hosp. v. United Behavioral Health, 12-55210, 2014 WL 4086784 (9th Cir. Aug. 20, 2014). 2 Pac. Shores Hosp. v. United Behavioral Health, CV 10-5828 PSG CWX, 2011 WL 6402435 (C.D. Cal. Dec. 19, 2011) rev’d, 12-55210, 2014 WL 4086784 (9th Cir. Aug. 20, 2014). 3 29 U.S.C. § 1104(a)(1). 4 29 U.S.C. § 1104(a)(1)(A). 5 29 U.S.C. § 1104(a)(1)(B). 6 Butler v. United Healthcare of Tennessee, Inc., 13-6446, 2014 WL 4116478 (6th Cir. Aug. 22, 2014).